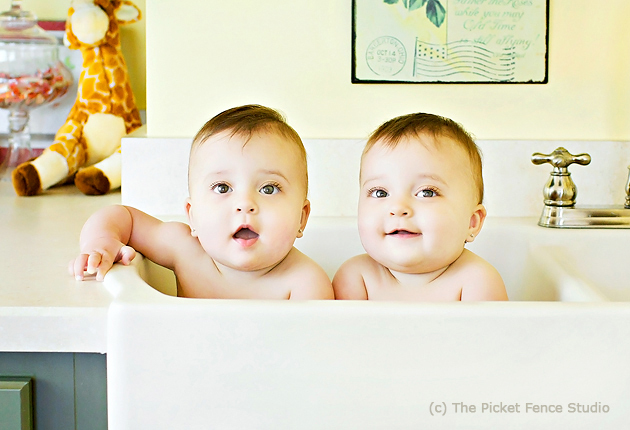 I have worked with twins several times and each time I think it will get a bit easier. Oh well, wishful thinking! I always go into the session with big plans. 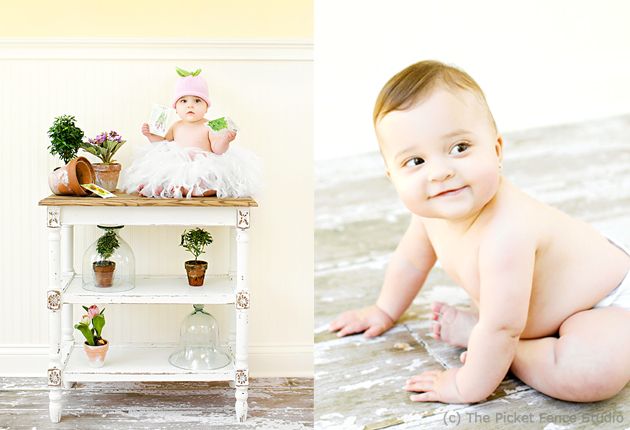 In this session I had a garden theme set up but only got one twin interested in it. (sigh) So I am learning to keep it simple. I try to work from Mom’s wish list first, typically on the top of that list is the “together shot”, it seems to be most important for Mothers of twins to get a great together shot. If I still have their attention then I work from my own list, but usually after about 45 minutes they are spent, so I have learned to work fast. These two adorable girls came to me as newborns and then again at a year old, shown here. One of them loves the camera while the other is not interested at all. I still love the soulful looks but I have found the smiling images are the ones that sell. Mom dressed them in sweet matching dresses but they didn’t care about clothes. They only got happy when we took them down to their diapers and birthday suits! 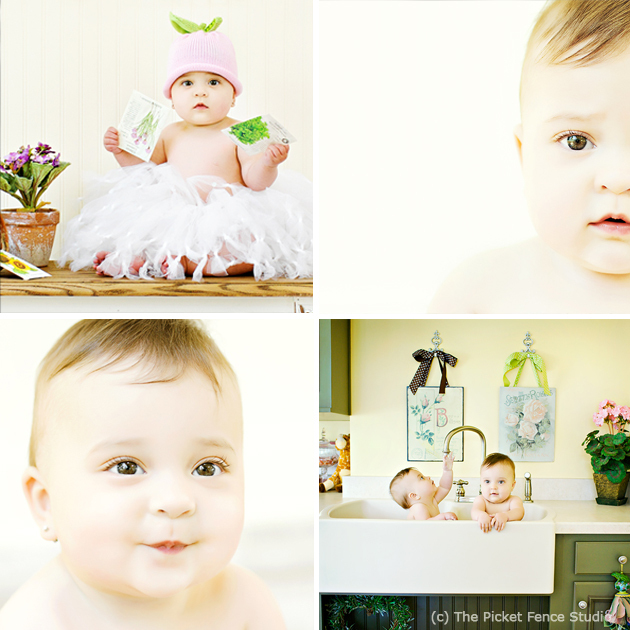 I have a sink in my studio and often put older babies in there with bubbles at the end of their session. I get the best shots in the sink! They just love to splash around in it. So next time you have a twin session, get the together shot first and keep simple if you can.